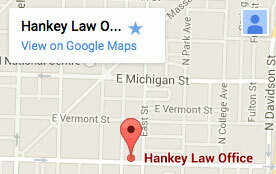 Hankey Law Office > FAQs > What is the Social Security Administration? Q: What is the Social Security Administration? A: The Social Security Administration (SSA) is an independent agency of the United States government. The main purpose of the SSA is to provide financial assistance to Americans, who are typically eligible by paying taxes on their income. The SSA may issue payments for retirement, disability, and survivor’s benefits. Obtaining benefits from the SSA is neither guaranteed nor easy. Having an Indiana Social Security attorney from the Hankey Law Office, aid you in filing for and pursuing benefits will give you a better chance at getting the benefits you need. Call our offices at (800) 520-3633 today.